At any given time on campus, there are many programs, speakers, and other events that are available to members of the Williams community (and some to the broader community). OSL works closely with students who are planning events, and manages the campus-wide room reservations system (EMS). Here are some questions to help guide you through the process of brainstorming for your event. This list is by no means exhaustive, so please think outside of the box and be creative. Who is the contact person for the event? Who will pay for any costs associated with the event? Who is the target audience? How many people do you expect? Who will be invited? Are there special guests? Is this a reoccurring event or a multiple day event? Have you allowed time for set up and clean up? What are the official start and end times of the event? Does the event conflict with other events? Does the event take place on a major holiday? Will your target audience be available (class schedule, travel time, etc.)? Where will this event take place? Single or multiple locations? Will you need a dressing room? Will this event affect other spaces near your location? Will noise or traffic flow be an issue? Will the physical layout of the venue affect the event? Will you have enough space? Will the tecnological capabilities of the venue be an issue? Will parking space be needed? Do you have the support of others? Is your target audience interested? Have you developed a brief mission statement to keep event planning on track? How do you want the room to look? Does the event require a different set up that the room normally provides? How many tables and chairs will be needed? Can you supply a diagram? Will Facilities be asked to set up and restore the room? Will this create overtime charges? Will food be served at the event? Will you need extra trash bins? Will the event require microphones, sound or lights? Do you want the event recorded? Will the event include a PowerPoint presentation? Will the presentation be on disk, CD, flash drive or networked? Will the event require a data projector, DVD, TV, laptop, wireless connectivity? Do you need other supplies? Who will be providing them? Can you afford technical support, if the event requires it? Are you inviting any outside guests or speakers? If so, have you determined if their needs can be met? Will you need to publicize your event to the larger community? Should the College be aware of prominent guests that will be attending? Williams College hosts a wide variety of outside speakers/performers on campus throughout the year. The following policies regulate the use of campus facilities and related resources in support of outside speakers/performers. A student representing an officially registered, College Council-recognized student organization (OSL RSO). Click here for information regarding OSL RSO’s. A staff member representing an administrative office or academic department. If an RSO, faculty member, staff member, administrative office, or academic department agrees to sponsor an individual student or non-registered group, the sponsoring entity takes on full responsibility for ensuring compliance with this policy. The department/office/student organization requesting the event must submit a reservation request for campus space using Room Scheduler (EMS). Student members of a DC RSO must meet with their Davis Center staff point person at least one month in advance of the speaker/performer’s requested appearance to disclose and discuss contracts, funding sources, location, logistics, publicity, and other details (see the Davis Center’s website for more information). Academic departments needing advice are encouraged to speak with the Director of Commencement & Academic Events in the Dean of Faculty’s Office at least one month in advance of the speaker/performer’s anticipated lecture/ program to disclose & discuss logistics, contracts, publicity, funding sources, and other details. Administrative offices needing advice are encouraged to speak with the Associate Director in the Office of Student Life at least one month in advance of the speaker/performer’s anticipated lecture/program to discuss contracts, location, logistics, publicity, funding sources, and other details. Some events may be determined by the College to require support from campus and/or other resources to be on-site for some or all of the program (including but not limited to Campus Safety, Counseling Center staff, Williamstown Police Department, Village Ambulance Services). In these cases, the sponsoring department/office/RSO is responsible for any and all payments for these services. Contracts for any outside performer/speaker being paid for coming to campus may be signed ONLY by an agent of the institution. An “agent of the institution” is a faculty or staff member of the College who has been approved by their correlating Senior Staff member to sign contracts. Students are NOT authorized by the College to sign any contracts to bring an outside speaker/performer and/or their program to campus. The College will not be responsible for providing funding, logistical support, space, publicity, or any other resources necessary to bring an outside speaker and/or their program to campus for which a contract has been signed by anyone other than an agent of the institution as defined above. If a student – whether part of a registered student organization or not – signs a contract on behalf of the College, the outside speaker/performer will not be allowed to present their program on any campus property. All contracts are reviewed by a minimum of two Williams staff members to ensure all details are covered. Larger, more complex contracts will be subject to legal review as well. All contracts must include the Williams College Performance Rider. All contracted payments are subject to a 5.3% Massachusetts Performance Tax. All third-party contracts, agreements, and arrangements must be disclosed fully to the College. A confirmed budget allocation must exist to cover all associated costs before a performer/speaker can be booked. Funding for speakers and/or their programs typically comes from the departments/offices/student organizations themselves. Any contracted performer/speaker being paid more than $5,000 must provide a certificate of liability insurance (COI) with The President and Trustees of Williams College, 880 Main Street, Williamstown, MA 01267 listed as additionally insured, at least one week prior to the campus engagement. If the performer/speaker is unable to provide their own insurance, the department/office/registered student organization bringing the performer/speaker must purchase the insurance using Tulip (which has a standing insurance policy with the College). This purchase must be done through a department or office of Williams College. Performers/speakers are not permitted to stay overnight on campus and must be housed off campus, with accommodations paid for by either the sponsoring department/office/student organization or at the performer’s/speaker’s own expense. College property (including but not limited to College buildings and grounds) is primarily designated for use that correlates to the College’s core educational purposes. Its use for such purposes as lectures, plays, musical performances, dances, etc., must be approved by the appropriate College authorities. College property may not be used for the purpose of participating in, or intervening in, any political campaign on behalf of any candidate for public office. Williams seeks to accommodate requests for the use of College facilities by local groups when the fit with College operations. Click here to learn more. Looking for information on Summer Conferences? Click here. Event categories are configured in EMS to make it clear what type of event you want to have, the different types of events that can be held in the various spaces around campus, and what level of support is needed. Most of the categories you will see are self-explanatory (i.e. performance, meeting, film, lecture). However, in thinking about more-socially-based events/parties, click below for some important information regarding Basic Events & Complex Events. As always, if you’re in Room Scheduler (EMS) and not sure what to do or how to use it, you can contact Maddy Polidoro, Sam Boyden, or Mike Bodnarik in the Office of Student Life, and they will walk you through it. Support from the Office of Student Life includes but is not limited to; work orders, furniture removal, sound and technology, stage setups, contracting outside vendors, booking travel, hiring of hosts/servers, and booking performers. In order to facilitate a successful event management process, please fill out this form early in your event planning process to better ensure we will be able to fully support it. Basic Events are smaller & simpler with specific requirements/parameters (see below), and are connected in EMS to specific smaller spaces around campus, particularly in student residences. The process for Basic Events allows students the flexibility to request the space quite close to the time of the event due to the need for less coordination and planning. Any event expected to have 20 or more attendees must be registered. Basic Events expected to have less than 20 attendees do not need to be registered, but must follow the Responsible Party Standards for Basic Events (see below). Sign into EMS with your Williams username & password. Complete the request form & submit. A Basic Event may be requested by an eligible current Williams student for locations across campus that are pre-designated in EMS for these types of events.The requested space must show as “available” in EMS, and the space must be used as-is (no special set-ups). If the space is a common room that “belongs” to a group of student residents (i.e., a suite common room), the student submitting the form must be part of that residential group. Room capacities are not exceeded, and no more than 50 attendees. No common source alcohol (i.e., no kegs). Beer and/or wine only. No hard alcohol. No more than 120 servings of beer or wine permitted (or up to twice the room capacity, whichever is less). No amplified music (beyond an MP3 player at reasonable levels). The student requesting the space must be reachable throughout the event at the cell phone number given. Should a complaint come in to Campus Safety about the event, Campus Safety will contact the student at that number to have the event come back into compliance or to determine next steps for follow-up. Respect for furniture, building, and possessions is critical. The space must be returned to the same condition it was in prior to the event (or better). Respectful interaction with others, including CSS officers, is also critical. Campus Safety, OSL, the House Coordinator, and the Neighborhood Director all reserve the right to reject the request. A key aspect of the Responsible Party Standards for Basic Events is host accountability and responsibility. Students who organize gatherings not only provide their contact information, but are also responsible for maintaining the gatherings’ safety. If things start to go in a bad direction, they are expected to address the issue, or get help. Determinations of responsibility for violations of Responsible Party Standards for Basic Events will be overseen by the Dean’s Office and the Office of Student Life. Issues that relate to community safety and respect will be considered particularly seriously. Sanctions for individuals and groups running unsafe events will be meaningful, significant, transparent, and uniformly applied. Essentially, any student event that doesn’t fall into the “Basic Event” category is considered a Complex Event – typically for one or more reasons (including the size of the venue & legal requirements for it, common source alcohol, amplified music, staffing management requirements, a/v support, special set-ups, etc.). Because of the time typically required to provide logistical support for these types of events, a minimum 7-day lead time is necessary on these types of requests. Once a request is submitted, someone from the office of support that you selected in EMS will connect with you to work through any necessary additional details together. Your request will be reviewed by staff from Facilities, Campus Safety, OSL, the Davis Center, Environmental Safety & Compliance, and Dining. Someone from the office which you selected for logistical support will contact you regarding any necessary follow-up details. Contracts cannot be signed by a student. If you are receiving support from OSL for your event, contact Mike Bodnarik or Ben Lamb for assistance. If you are receiving support from the Davis Center for your event, contact Shawna Patterson-Stephens for assistance. Funding must be secured before services can be contracted. College monies cannot be used to purchase alcohol, tobacco, exotic dancers and all paraphernalia related thereto. If your organization would like to invite an outside institution (such as MCLA) to attend your event, the Cross-Campus Open Invite Protocol must be followed. If it is not, then those students who are not from Williams will be turned away at the door. Below is a list of questions frequently asked about student events. If your question is not answered here, contact the Programming Coordinator. Q: Who created the formula for alcohol and what does it mean? A: The 2004 Alcohol Task Force made the recommendation for the formula based on the percentage of Williams students who are 21 years or older and can legally drink. The recommendation was approved by the Dean of the College. The responsible rate of consumption is based on one drink per hour per person. Q: Why do I have to follow the formula for alcohol? A: The formula for the amount of alcohol must be followed to ensure compliance with Massachusetts Law and College policy. Furthermore, compliance encourages responsible consumption. Q: Why can’t I have more people attend my event than what’s listed on the capacities sheet? A: Capacities are set by the Massachusetts Building Code. Some of the factors are the building use group, number of exits and number of bathrooms. For more information on capacities, contact Joe Moran. Q: How do I book a room for my event? A: You must request a room reservation separately through the online room scheduler (EMS). Q: I’m a first-time event planner. What do I do? A: If you are part of an organization supported by Student Life or an individual student, contact Ellen Rougeau, Programming Coordinator to set up an initial meeting. If you are part of a student organization supported by the Davis Center, contact Shawna Patterson-Stephens, Director. Q: Why do people in other offices need to know about my event? A: Various offices on campus need to know what events are happening, and sometimes need to ask questions about an event to ensure that the event goes off without a hitch. Sometimes staff in other offices will need to offer assistance, too. So we include folks from Facilities and Campus Safety so they have the same information the Office of Student Life & the Davis Center have, at the same time. It also gives those offices a half-day to bring up initial questions to be shared with the student by the Programming Coordinator or the Davis Center advisor during the meeting the next business day. Q: Do hosts & servers at events with alcohol have to be certified? A: Yes. Both TIPS (one-time during Williams career) and Host/Server (annually) and be hired by the Assistant Director for Student Organizations & Involvement (Benjamin Lamb). Q: My event doesn’t include alcohol. Do hosts need to be certified? A: Maybe – it depends on the event and specific details submitted through your Roomscheduler request. Ellen Rougeau, Programming Coordinator for Student Life or the Program Coordinator in the Davis Center will let you know. Q: I don’t have all the details of my event worked out – should I still submit the RoomScheduler (EMS) request? A: Yes! Submit it as early as possible and fill out the information as completely as you can at the time. We’ll work with you to figure out the details after you submit the form. Q: My event involves a contract. Can I sign it? A: No – students are not authorized to sign contracts on behalf of the College. Contracts must be reviewed and signed by a staff of the college. Please see the contract policy found HERE. Q: Do I have to meet with someone in the Office of Student Life or the Davis Center after submitting the Room Scheduler (EMS) request? A: Yes – so we can help you make sure that your event happens smoothly. Q: What if I don’t meet a deadline for submitting the form or for contract review, or for auxiliary services? A: You probably won’t be able to have the event on the date you’d like, but we’ll work with you to find a new date that will work. Q: Who gets the email or the form when it’s submitted? A: Staff from the Office of Student Life, the Davis Center, Campus Safety, Facilities, and Vice President for Finance & Administration. Q: I have more questions in about being a certified host or server. How do I get answers? A: Contact Ben Lamb, he will be able to answer any questions you have about becoming or hiring a host or server for your events. Students are required to follow all of the Responsible Party Standards and specific rules related to Basic Events and Complex Events. Student events with alcohol are restricted to member of the College community and their escorted guests. All advertising for events with alcohol must be directed exclusively at the College Community. No off-campus advertising or promotion of events with alcohol is allowed. Advertisements for events with alcohol may not in any way feature alcohol, either in name of the event or in the description. College funds may not be used to purchase alcohol. No admission fees, cover charges, or charges for alcoholic beverages are permitted when alcohol is served unless a temporary license to sell is obtained from the Town of Williamstown and approved by the Board of Selectors. To secure a temporary license please reach out to the Office of Student Life. Bracelets must be used to identify persons of legal drinking age of 21 years. Events must conform to fire code and maximum occupancy limits. A barrier (e.g. bar) is required to separate the alcohol from guests; only servers may have access to the alcohol during the event. The area must have adequate lighting to check ID’s. Events with alcohol may not begin before 6:00 p.m. on days when classes are scheduled or before 12:00 p.m. noontime on Saturdays and Sundays. Events with alcohol must end by 12:00 a.m midnight for events occurring Sunday through Thursday nights; and by 2:00 a.m. on Friday and Saturday nights. 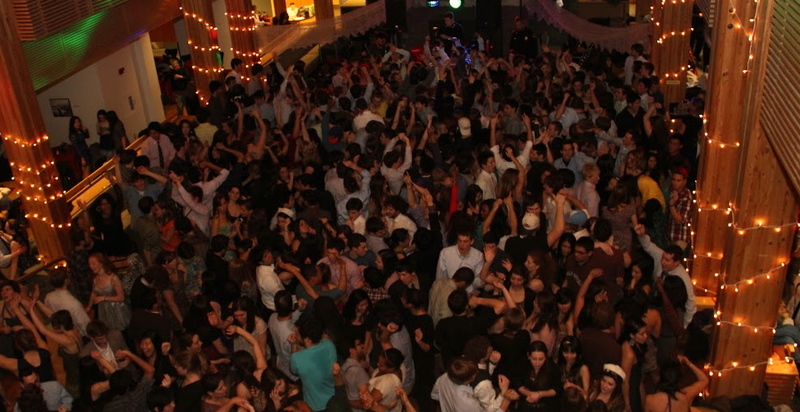 Hard alcohol, including punch, is prohibited from all registered student events. Senior events (First Chance Dance, 100 Days Dance, Senior Week Events) have an 8-keg maximum. Alcohol is not permitted at athletic events unless purchased from a licensed vendor on the premises. Outdoor events with alcohol must be requested and registered through the Office of Student Life and approved by Facilities & Campus Safety. These events are subject to additional requirements. Alcohol may not be served in Firs Year residence halls or at any event exclusively intended for First Year Students. First Year entries cannot fund alcohol for events, but under separate bulling can sponsor entertainment, food, and alternative beverages. Student-initiated events with alcohol are not allowed during Orientation, First Days, or Final Exam Periods. Student-initiated events with alcohol are not allowed during Reading Periods (except the night prior to Reading Period beginning, until 2:00 a.m.). Food and non-alcoholic beverages must be provided for consumption throughout the duration of any event with alcohol. Adequate amounts of non-salty/non-sweet food must be provided as well as ample quantities of non-alcoholic beverages. 2 lbs of food and 5 liters of non-alcoholic beverage must be provided. Between 21 and 50 people in attendance. 4 lbs of food and 10 liters of non-alcoholic beverage must be provided. Between 51 and 99 people in attendance. Between 100 and 199 people in attendance. 8 lbs of food and 20 liters of non-alcoholic beverage must be provided. 24 lbs of food and 60 liters of beverage must be provided. Events must end by 12:00 a.m. midnight for events occurring Sunday through Thursday nights; and by 2:00 a.m. on Friday and Saturday nights. Student-initiated events are not allowed during Orientation, First Days, or Final Exam Periods. Student-initiated events are not allowed during Reading Periods (except the night prior to Reading Period beginning, until 2:00 a.m.) The only other exception is for Final Performances. Smoking is not permitted at events held indoors – all College buildings are considered smoke free. Foam machines and parties are not permitted in any College buildings. Fog and smoke machines are not permitted for use in any College buildings. If you would like to use these machines outside of a College building you must check with the Office of Student Life and Environmental Health and Safety prior to usage. If you are considering candles during an event it must be discussed in advance. Be sure to speak with the Office of Student Life and Environmental Health and Safety. Outdoor events must be requested and registered through the Office of Student Life and approved by Facilities and Campus Safety. Hosts – are the gatekeepers, monitors, and policy enforcers. Servers – are those responsible for safe alcohol service. Accept and carry out full responsibility of all aspects of the event including compliance with all Massachusetts State Laws concerning alcohol. Comply with all registration form information. Sign for alcohol at beginning of event (21-year-old). Arrive substance-free at the start time and remain substance-free though clean-up. Use the bracelets as supplied by the Office of Student Life to identify of-age guests. Serve the alcohol only to of-age guests as identified with a wristband. Monitor and controls alcohol service and use. Prevent minors from drinking alcohol. Prevent alcohol from being passed to minors. Prevent intoxicated persons from drinking more alcohol. Ensure a secure area for alcohol. Ensure that any guest whose behavior is disruptive or creates an unsafe environment, or anyone who fails to comply with you in your role as a server, will be required to leave the event, enlisting the aid of Campus Safety if necessary. Remove any guest from the event who fails to comply with Massachusetts law or College policy. Enlist the aid of Campus Safety, when necessary, to ensure compliance with Massachusetts law and College policy. Carry out additional tasks and responsibilities as assigned by the Event Coordinator and other event team members. Ensure that the event sit is cleaned up and furniture is placed in its original location at end of the event. Prevent alcohol at non-alcohol events. Prevent hard alcohol from being brought into an event. Dispose of any unsupervised beverage cups throughout the event. The Office of Student Life in conjunction with Campus Safety and Security determines the number of hosts/servers that are required for an event. The number needed is determined based upon the event, location, sponsoring organization, history, and other additional relevant factors. The Office of Student and Campus Safety and Security may require professional hosts and/or servers to be hired for an event. Start by submitting your request through Room Scheduler (EMS) to get started, then click on the links on this page to learn more. Because events often require staffing as well as special set-ups, a minimum of one-week’s notice is necessary, though earlier notice may be necessary for some venues or for the coordination of some logistics. If you’re in EMS and not sure what to do or how to use it, you can contact Maddy Polidoro, Sam Boyden, or Mike Bodnarik in the Office of Student Life, and they will walk you through it. Logistical coordination for events planned by faculty/staff is the responsibility of the faculty/staff/department requesting the space. Academic departments may contact Veronica Bosley or Carrie Greene for additional assistance.